There are lots to way to customize you smartphone like wallpapers, icons, themes etc. Ringtones is one of them, from the web you can download so many free ringtones and set them your smartphone default ringtone. If you are looking for a tool or app to create your free customized ringtone for your Android, iPhone and Windows Phone. 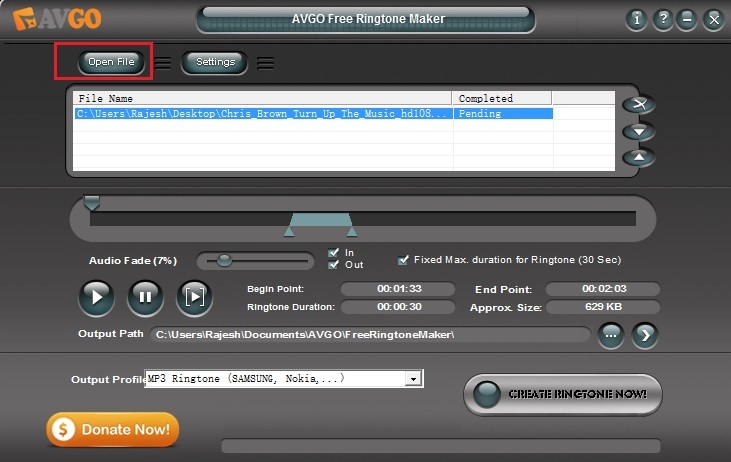 Now you can make your own favorite ringtones with AVGO Free Ringtone Maker. With the help of this 13MB app you can create all sorts of custom ringtones. It supports almost any video and audio formats like .mp3, .m4a, .wav, .wma, .avi, .flv (YouTube Format), .mp4 (iPod Video Format), .wmv, .mkv, .rm, .ra, .mov, DivX, XviD, 3GP, etc. There’s also no ringtone size limit so you’re free to create a ringtone of any length or duration. All you have to select your song or video and make your ringtones easily. It also supports batch conversion and audio effect such as fade in and fade out. And works on most of the smartphone like Samsung Mobile, Nexus, HTC, Motorola, Sony, Nokia, iPhone, etc. The best part of the application is that you can customize your ringtone’s begin point and end point. Let’s take a look how the application works and how to create ringtones for smartphones. Now select the length or size of the ringtone from the begin point and end point. If you want to preview your ringtone, just click on the “Output Preview” option. Once you are done with your setting, select the output format of the ringtone from the “Output Profile” option. From here select the format in which you want to save your ringtone and hit the “Create Ringtone Now” button. That’s it! Now the ringtone is saved on your output folder, from here you can move the file on your phone and set them as your ringtone. 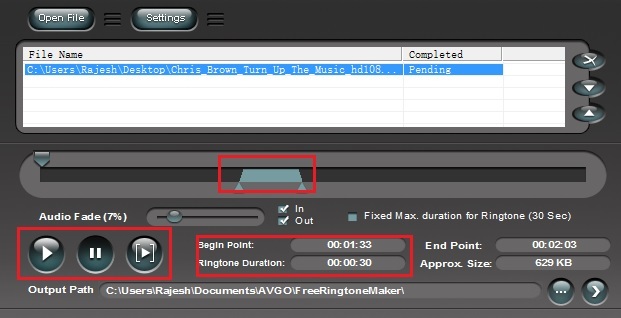 All in all, I can say that AVGO Free Ringtone Maker is one of the best way to create ringtones without any glitch plus it’s user-friendly. Thank you sharing the tip. We have some other ringtone makers as well, but this is something that can be used with all OS. Keep up the good work.